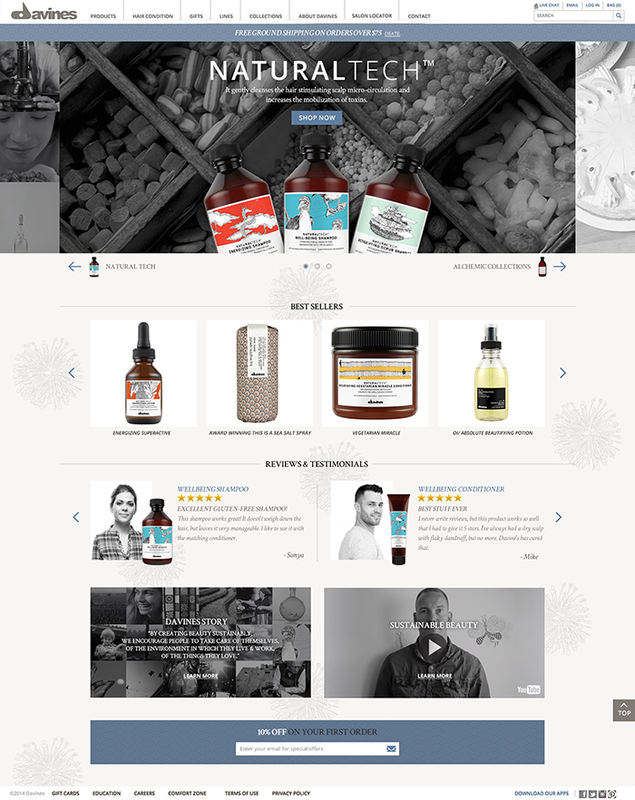 Davines wanted to feature new products and do a major push internationally, utilizing localization technology to support multiple languages and dialects. Their new line of products were developed specifically for non-american audiences and they wanted to push new homepage features highlighting these products. While doing this push, they also wanted to humanize their brand and this was accomplished by including a detailed back-story of their history and their adoption of sustainability efforts. 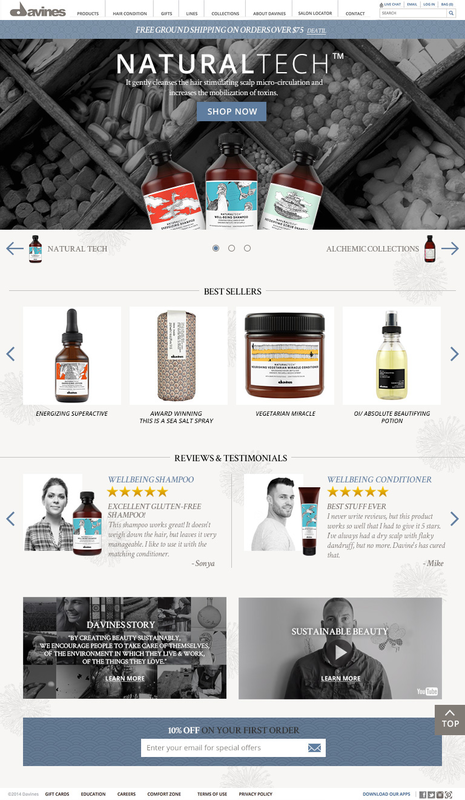 Davines wanted deep participation in the design process and had multiple change requests along the way which resulted in multiple prototype deliverables. Since the website was already built they did not need an interactive prototype which helped streamline the build once it was approved. We delivered three versions for approval which included; Desktop, Tablet and iPhone.